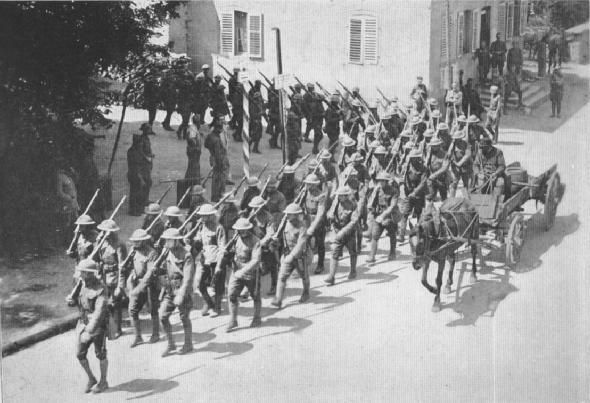 BOUND FOR CANTIGNYFirst trench mortar battery, 1st Division, passing through a French village on the way to the front. A FEW WERE SINGINGCo. 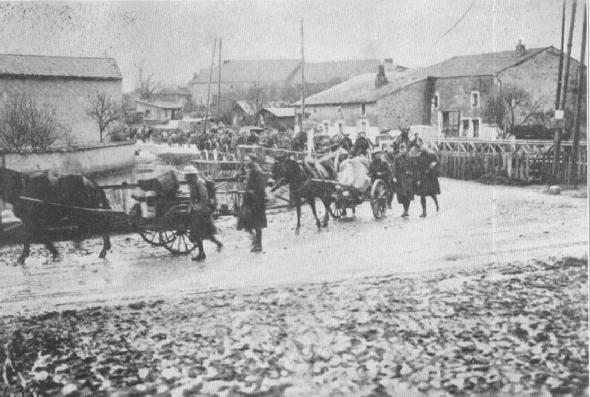 A, 125th Inf., 32nd Div., passing border post when marching into Germany. Sentheim, May 29, 1918.